Business is something that needs proper advertising, in order to develop. Nowadays, the most successful marketing is online as this is due to the growing search on the network. In order to promote your business online and attract new customers to Your company, it is necessary to optimize Your web site. SEO optimization is a service which aims to create the ideal conditions for Your development in the network. The essence of SEO is through a large number of thematic and strong ties (links) to bring forward in the search results Your website. Thus, You will enjoy the high traffic of people who besides that will visit Your website, are searching for Your services. This is because the sites are optimized for the keywords, which, in turn, the users are searching online. Practice has shown that SEO optimization is the best way to attract new customers for Your business. For this reason, every person currently wants to optimize his website. To be exhaustive I’ll explain in a few words, what is SEO and how it works. It all starts with the internal website optimization. It is an integral part of external SEO, which is known as Link building. This “link building” is the process of creating thematic links. In this way search engines position Your web site up on the search results. Correctly structured external links, their selection and control, as well as good optimization guarantee first place in search engines, where the traffic of people is very large. In Bulgaria people who are searching on Google are almost 100%, which means that it is the only used search system. That’s why wherever you meet suggestions about SEO optimization, they will all be sent to Google. Of course, if Your firm or company develops its activities at international level, You absolutely can order optimization for other search engines. If you’ve decide to advertise your business on Internet, You’re going nowhere without SEO services. Soon, however, you can be sure that only with that you’re not getting the desired result. If you want to reach your goals quickly, you should be focused on widespread digital marketing. One of the best way of advertising is through the search engines, mainly Google, but You must not forget the #2 search engine in the world – Facebook. At first glance it seems very easy task but actually it is not. Keywords used in Internet search engines, very often are almost identical, and the competition is brutal. If Your site is new and has few users, the chance to fight for the highest places, is negligible. Here come and the PPC ads, for which You’re paying for every click of potential customer. The best option that You can choose is the Google Adwords program. Of course, it is quite difficult to manage it on Your own, because it is time consuming and requires good skills. Here, my advice is to contact a marketing and advertising company or person with proven professional skills that will help You to achieve your goals. It is not a secret that most users stop at the first 3 results when they open the search engine. If you are occupying 10-th or 15-th place, then very few people will click on your ad, so you have to fight to be among the first places. If you need huge traffic of users for a short period of time, the free SEO services are not suitable for You, and as you all know, nothing is guaranteed. When You are under time pressure and want a quick implementation, You should consider marketing SEM services. And this is often carried out through these PPC ads and banners on sites like Yours. To succeed as quickly as possible and to qualify for the top places in Google, you have to use the paid search for keywords results. These paid results come out the right side of the screen, or on top of, above all others, and so, it will guarantee that You will get a large traffic of users. Positioning in search engines is very important for You and Your business, so don’t underestimate this fact. 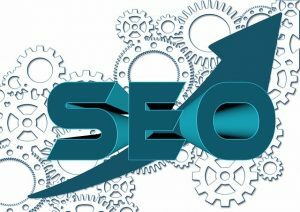 SEO and SEM are different concepts and processes, but I can say that they are quite closely related and the best option is a combination of both. If You want to be sure in success, You need to use both. Each of them has strengths and weaknesses, and therefore, when used together, they complement each other. In addition, it is very important to choose the keywords for Your ads and when You start the campaign, You will have access to any statistics and it will show what attracts the attention of consumers. When You choose the correct keywords and find the most attractive ones, then traffic to Your website will be what You always have wanted.